2017 Academy Award nominated director Dan Krauss adapts his acclaimed documentary THE KILL TEAM into a taut, provocative thriller reminiscent of such classics as THREE DAYS OF THE CONDOR, THE CONVERSATION, and ALL THE PRESIDENT’S MEN. 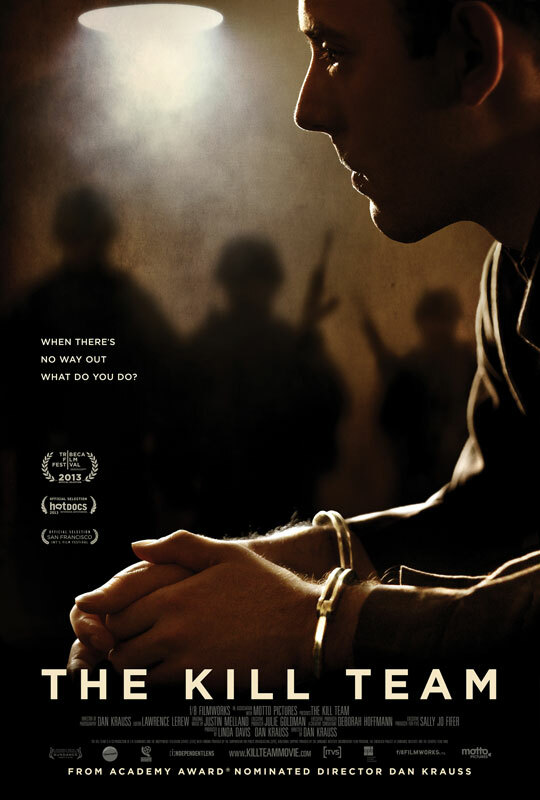 Based on dramatic true events, THE KILL TEAM tells the story of a young American soldier trapped between his conscience and his survival when members of his platoon carry out a murderous scheme in the desolate wasteland of Southern Afghanistan. Specialist Andrew Briggman is an ambitious young soldier, whose quiet temperament and naive demeanour set him apart from his platoon. Everything changes when he meets his new squad leader, Sergeant Deeks, a towering man – fraternal, imposing, a man of principles – a natural born soldier. Andrew immediately falls under Deeks’s spell. When a young Afghan farmer is killed under murky circumstances, Andrew’s admiration for Deeks becomes increasingly tainted. Soon it is agonizingly clear that Deeks is enlisting his men in a scheme to murder innocents. Andrew attempts to pull away from the group, but instead is dragged into a dangerous match of psychological warfare with his own brothers in arms. Andrew reaches out to his father for help in reporting the murders. But the effort fails. Out of options and with nowhere to run, Andrew must face off against his once friends, ultimately forced to make an impossible split-second decision that will change him forever.